For me most sample packs that have been released in the last year have lacked a level of originality, especially when it comes to house music. You get the typical squeaky clean drum kits that have no character what so ever and an array of synth sounds and effects you could pin point in the vast majority of deep house top 40 Beatport chart. 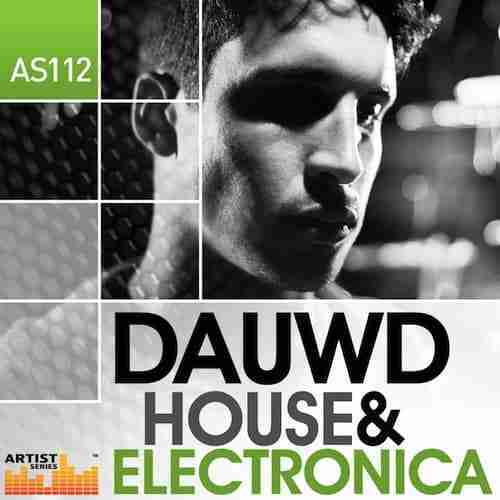 Yes thats right, house music (especially modern deep house) is beginning to see an absence in creativity, that is why whilst scrolling through Loopmasters library, I was excited to see that Dauwd had stepped into the market of Sample Packs. For those of you who aren’t familiar with the welshman, Dauwd is an artist who crafted his style by creating music in an incredibly complex manor which most producers would give up on after a short space of time. Using interweaving multi-timbered synths, enhanced by emphasized vocal and instrumental stabs that are continuously evolving over lively percussion and crisp low end, Dauwd has become renowned for producing music that is full bodied and warm in texture. Something that the likes of Joy Orbison and Four Tet are also familiar for. With this in mind I confidently delved into this latest addition of the artist led sample packs with considerable anticipation. The collection weighs in at 500 Mb and includes 378 samples recorded at 24bit, with 111 loops between 120-128 Bpm and 267 one shot samples. Also included are 68 ready to play patches for Reason Nnxt,Halion,Exs,Sfz and Kontakt compatible soft samplers. Apple loops, Reason Refill and Ableton Live versions are also available to purchase separately. In detail you will find 22 Bass Loops, 54 Drum Loops, 35 Music Loops, 106 Drum Hits, 7 Bass Multis, 20 Bass Hits, 6 Synth Multis, 19 Synth Hits and 20 Awesome Sfx. For me the strongest parts of Dauwd’s productions are predominately the synth pads and therefore an obvious place to start. The pads Dauwd has created are the sort you would hear in a track signed to Hotflush a few years ago, full of weight, modulation and very pleasing to the ear. Perfect for creating that future garage type sound or maybe even for a little deep or progressive house if that’s more your calling. However surprisingly the synth sounds were not the highlight in my opinion. What was most impressive were the bass sounds. The subs Dauwd has created are by far the best I have heard in any sample pack as of yet. They are very thick, warm sounding with a shimmer of analogue distortion resonating through the patch. Something many a bedroom producer has attempted to replicate ever since their first encounter with a VST oscillator. The other bass sounds also have a strong analogue feel and could easily be used in any electronic genre of your choosing. For me this sample pack is a must for anyone who produces electronic music, there is a sound that would suit any mood, genre or tempo, as well as every sound having that much sought after analogue feel, giving your productions potentially more life and character than the average House track.